Mark your calendar and set those alarms as the next opportunity to purchase Nintendo’s wildly popular NES Classic Edition at retail is upon us. GameStop will have limited quantities of the retro-inspired gaming machine available at retail stores beginning June 29 (that’s tomorrow). The console will also be available for purchase at GameStop’s website, we’re told. ThinkGeek (which is owned by GameStop) is also getting a shipment of NES Classic Editions that’ll be on offer starting at 9 a.m. Eastern. On Twitter, the company said it expects the inventory to go fast. Amazon, Best Buy, Walmart, Target and eBay are also likely to have inventory although details haven’t yet been shared. 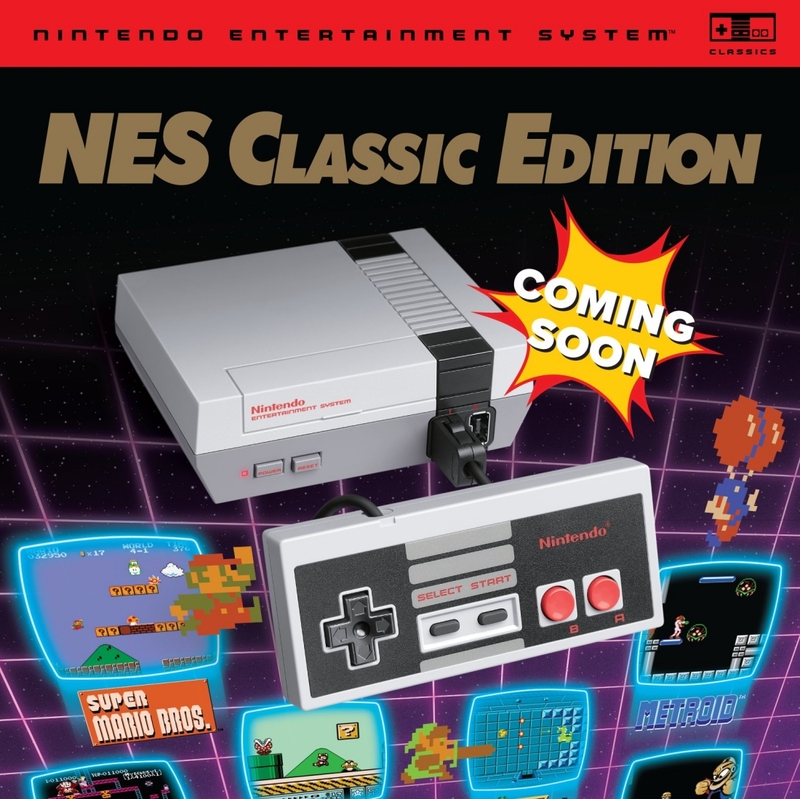 Nintendo announced the NES Classic Edition in the summer of 2016 and launched it to overwhelming demand that holiday season. The system was virtually impossible to find in stores and remained that way through April 2017 when it was prematurely discontinued so Nintendo could focus on production of its successor, the SNES Classic Edition. A recent trademark filing suggests a miniature version of the Nintendo 64 is also in the pipeline. Many expected an announcement at E3 2018 but that didn’t happen (nor did much else, for that matter). Finally got my hands on one of these the other day. I played it for 5 minutes and thought "wow, this is stupid..."
What a waste of money. Just build one on a Raspberry Pi with an SD card that contains all games from atari - N64/PSX and call it a day. You can run the OS off a flash drive now with a dummy 8 gb microsd card for retropie and emulation station, I picked up a Corsair 256gb on sale and am running it in a pimoroni cabinet with a larger 10.1 Lcd screen or use an older monitor and make a cabinet or buy one from gameroomsolutions.com it's really easy. The point is your avg. joe don't care about emulators or even know what to do. This is exactly what the avg. joe would want which is why they sell fast. It's all about nostalgia, nothing else. It's definitely not about quality or games, as both are lacking. I have both the nes classic and snes classic. I bought them on nostalgia, nothing more. They just sit here, didn't even open them yet. So far just part of my collection of things. May keep them, may sell or may play them one day. As I said just have them out of nostalgia. Well tbf the average Joe also probably wouldn't have any interest in these products, they are mainly for people in their 30's that grew up with a NES system in the household that wants nostalgia, however we are on a tech site with mainly enthusiasts writing in these forums, so emulators for the average enthusiasts is more than easy and I would dare say if you can't use raspberry pi and do this with how easy they make it for you, you ideally shouldn't or wouldn't be in these forums. I have Raspberry Pi 3 with Retropie installed just for these emulation purposes. Newbie friendly guides are available for those who need help setting up the Pi3 with Retropie. Cheaper than these rip-offs these companies are making in the name of nostalgia to milk more money from the mindless players who line up early morning to get these. I think players should demand better games and game designs from companies who are able to create games. Rather than buying repainted, republished or remake games, in the name of "retro" games. And so is the problem with newer games which are usually another sequel of sequels. Well I don't know if I am allowed to bring this up but if you don't like whats coming in the nes classic edition. Just use hakchi2, I did that with my super famicom mini last december, absolutely beautiful stuff. 1. I hate the snes and nes design looks. 2. I play nes/famicom snes/superfamicom often so this was a really good moment. That and the super famicom looks so much better designed, unless nintendon't of japan patched up somethings. Just go ahead and buy it, not for it to be on the shelf collecting dust, but to go back to the good old days when games were really good. Yeah, but what about that controller? Its's just an retroflashback, I would expect everybody will put that away after a few hours, so its overpriced for that. Like I said the nes and snes mini can be readjusted to add on more games you really like. Controller design, the console base, its done mostly by nintendo of japan. With a single mainboard and barely any wiring nintendo Inc made a killing. Its all good to me, yeah I admit I don't play it daily, but when computer games just become annoying, I am glad to have this. Yea, but at that point, make your own or by pre-made? You can do so much more with the raspberry pi... I mean, if you are already planning to modify it and/or learn something.